Many people use creamer in their morning coffee, thinking that it’s healthier than regular cream. 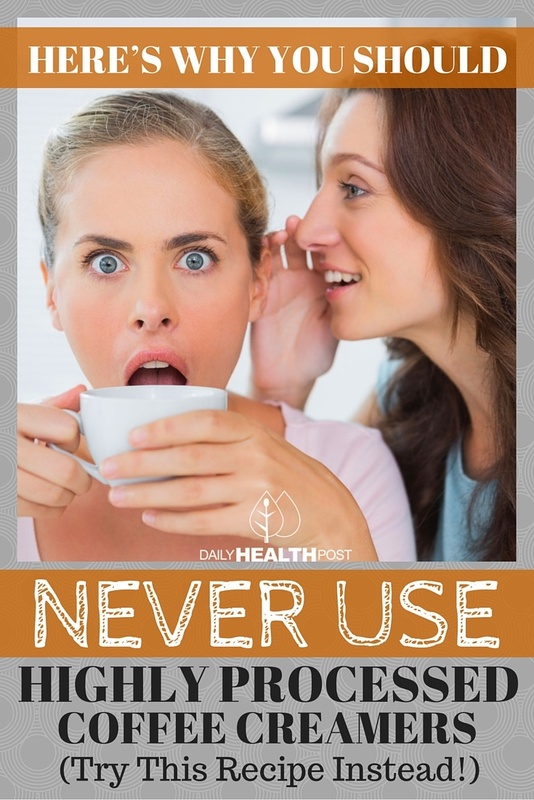 But the fact is, non-dairy creamer is far from good for you – and it’s certainly not better for you than cream itself. Back when coffee creamer first started to enter popular use in the 1950’s, it generally contained just sugar and cream – the perfect combination for adding to your coffee. 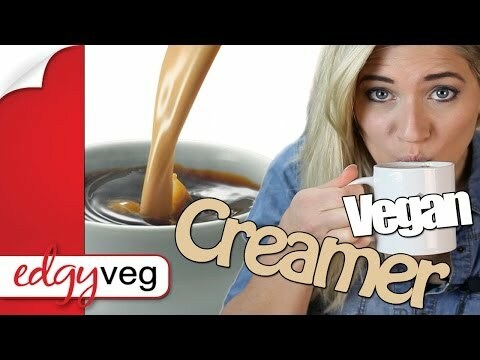 But over the years, the ingredients for creamers like CoffeeMate have changed, including less natural ingredients and more synthetic ones. 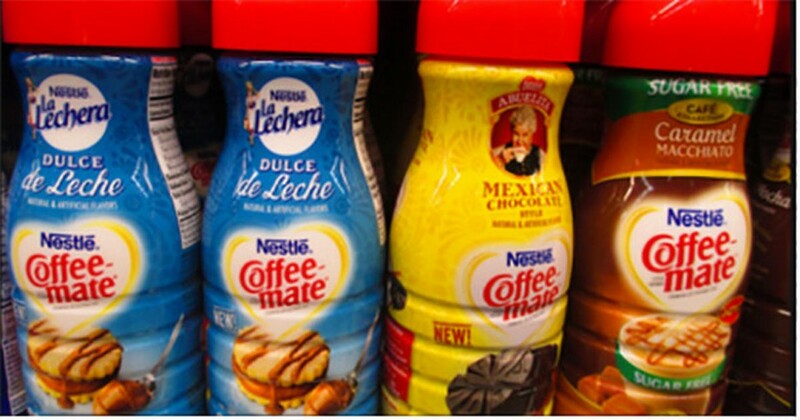 Today, most coffee creamers contain chemical sweeteners and other additives. To most people, this list of ingredients is essentially meaningless – the average person can’t be expected to understand the health implications of all of these ingredients. Corn syrup solids are a type of sugar derived from corn syrup. Generally derived from genetically modified corn syrup, these sugars – mostly dextrose – are produced when corn starch is bathed in hydrochloric acid(1). Partially hydrogenated oils are a form of trans fats – one of the worst kinds of fats you can consume. Trans fats are associated with heart disease and diabetes(2), as well as many other chronic conditions. Sodium caseinate is a protein found in milk – it’s not a source of lactose, which is why it’s often included in “non-dairy” creamers. This ingredient is used to give the product a more dairy-like look and feel. It’s also used in plastics and in various paints. It has it’s own set of negative health consequences – including allergies and neurological conditions(3). As the list of ingredients goes on, it’s clear that these creamer products are far from good for you – in fact, they can be actively harmful. So there’s no reason not to partake in a morning cup of joe – just make sure that if you add anything to it, it’s regular cream and not artificial non-dairy creamer.